Malvan is gradually becoming a tourist hotspot, as there has been a significant increase in the number of travellers visiting this amazing town located in Sindhudurg District of Maharashtra state. Other than visiting all the wonderful attractions, tourists can enjoy a New Year party in Malvan along with locals at certain places. This town is well-known for Sindhudurg Fort, which was built by the great Maratha king, Shivaji. 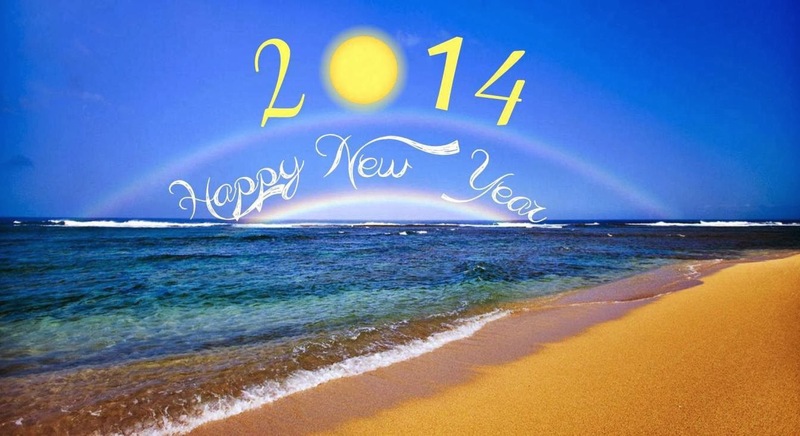 Just like all the other festivals, a New Year celebration in Malvan also witnesses great festivities. New year celebrations in this part of the world involves dance, music and some excellent delicacies. Christian community in this region welcome their New Year with great enthusiasm, and decorate the church with bright lights. 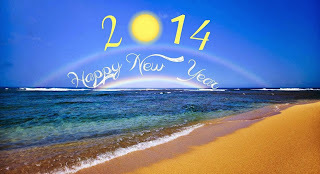 They organize New Year events in Malvan for their community members and also for the public at large. Star-shaped lanterns can be seen outside most of the Christian homes, while lots of cakes and other dishes are also distributed on this occasion. Tourists would also get the chance to be a part of New Year parties in Malvan upon visiting this town towards the end of December. Most of the hotels and resorts in this region organize special events, that provide a great opportunity for their guests to have plenty of fun while welcoming the New Year. Due to the events held at such places, travelers would not miss their New Year celebrations. Over the years, many hotels and resorts have come up in Malvan, owing to an increase in the number of tourists visiting this region. Today, travelers looking for budget hotels in Malvan for a cost-effective stay can find several options in accommodation. The New Year celebration in Malvan 2014 would be something that tourists would be eagerly waiting for, during their visit to this town towards the end of December. Christmas is one of the major festivals in India, and celebrated in different parts of the country. Malvan, a town in Sindhudurg district of Maharashtra, also witnesses grand festivities on this day. It is called 'Nataal' in the local language, and Christmas in Malvan is also an exciting time for shopping. People of this town benefit from the huge discounts offered by many of the shops, as they buy gifts for their near and dear ones on the occasion. Different types of delicacies are also prepared on this day in several households. 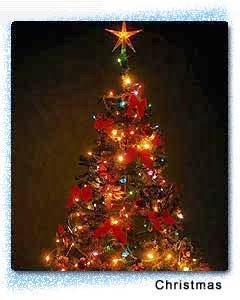 As the day of Christmas approaches, people send out greetings to friends and family members living in distant places. The Christians decorate Christmas trees kept outside their homes with coloured lights and bells. Beautifully lit star-shaped lamps can be seen hanging outside many homes of Malvan in Christmas and they are not removed for a long time. Choirs of churches, clubs and schools begin visiting the neighbourhood a week before Christmas. Many people visit their relatives during Christmas vacations in Malvan in the month of December. Midnight Mass is held in Churches, which is not only a prayer ceremony, but an important social event for the Christians of Malvan. Plenty of tourists visit Malvan during the month of December to witness Christmas celebrations of this town. Several resorts and hotels in malvan offer pleasant stays for them at discounted rates. Many of them also give their guests a glimpse of Christmas celebration in Malvan by hosting special events. These events combine great entertainment with some fabulous treats in the form of delicious dishes, that are specially prepared for this occasion. Atmosphere of Malvan during Christmas is truly wonderful, with a festive mood prevailing in almost all parts of the town. Tourists also have a wonderful time, celebrating this festival along with the locals. Malvan's popularity as a tourist destination is on the rise in recent times, as an increasing number of travellers are visiting this region from different parts of the world. There are many places to explore in this town of great cultural importance, but the ganesh temple malvan tourists visit is truly majestic. It is situated in Medha locality, and its presiding deity is Lord Ganesha, who is widely worshipped in the state of Maharashtra. 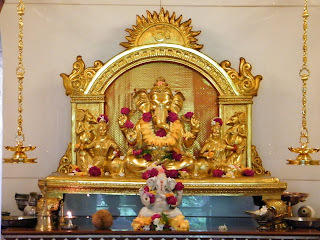 The Ganesha idol in malvan ganesh mandir can be seen in its original form, with both sides having consorts of the Lord. This temple was built by the famous astrologer, Shri Jayantrao Salgaonkar, who created the popular almanac known as 'Kalnirnay'. 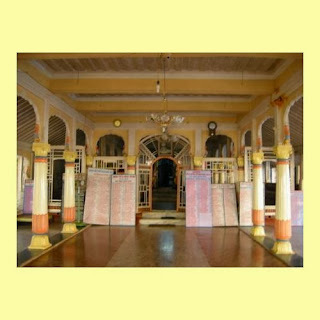 Its hall has eight idols of Lord Ganesha that are carved on the ceiling. 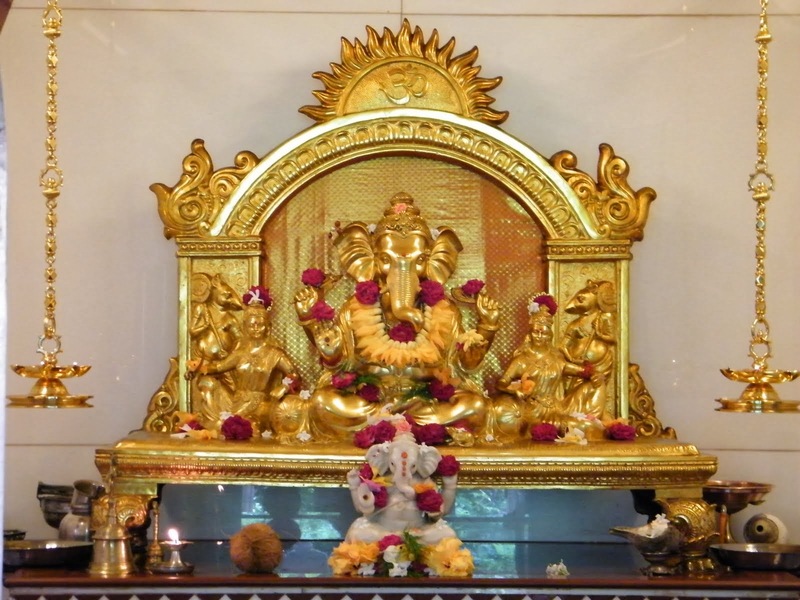 The ganesh mandir malvan tourists visit during their tour of the region has an idol of Lord Ganesha in the sanctum sanctorum made of pure gold. Shri Jayantrao Salgaonkar named this Ganesha as 'Jay Ganesha' to bring success to all devotees through this Elephant God. The jai ganesh mandir malvan tourists long to visit, has its interiors adorned with rich colors. An annual festival called 'Ganesh Jayanti' is celebrated for five days on the 4th day of the month of Magh according to Hindu Calendar. 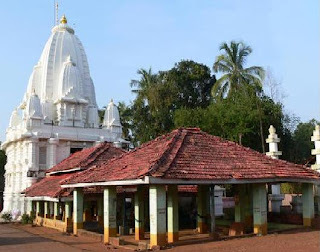 The Medha Ganesh Mandir Malvan tourists visit every year, would be easily accessible from these places.People who are planning to visit this temple would find it very easy to get to Malvan town, as it is well connected by roadways and railways. The jay ganesh temple malvan tourists want to visit, has many hotels located close to it. This makes it highly convenient for the tourists to find a comfortable accommodation near ganesh mandir during their tour of this region. Some of them provide luxurious stays along with all the modern amenities. Konkan is blessed with many places of worship but the most popular among them are the nine important temples of goddesses located at different places. Bhagwati temple located at Dhamapur between Kudal and Malvan is one of the nine temples, which is deeply worshipped by the residents of this region. Bhagwati temple in Malvan is popular among the locals as “Jagrut Devasthan” or active place of worship, meaning whatever you ask from this deity you are supposed to get it within a stipulated time period. 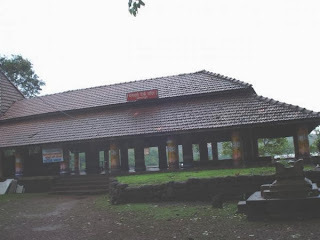 Devotees as well as tourist visit this place, which is popular for its easy access from the major towns of Malvan, the legendary lake in front of the temple and the scenic beauty of the surrounding region. Bhagwati Devi temple became popular due the famous legend associated with the lake which is tucked in front of the temple. The legend says that in ancient time’s poor villagers of Dhamapur ahead of a marriage used to dip a basket full of flowers in the lake. Afterwards when the basket was withdrawn from the lake the flowers used to get changed into gold ornaments. These ornaments were taken by the poor villagers on a condition that they will be returned after the marriage was over. 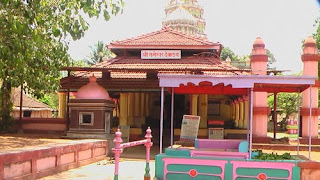 This legend had made the deity and Goddess Bhagwati temple very much popular in the nearby area, attracting people from many parts of Malvan to this “Jagrut Devasthan” for asking something from the goddess called Nawas. After the request is fulfilled they come again to the temple along with offerings for the deity. Bhagwati temple map clearly shows its location amidst other popular places. Bhagwati temple photos give clear idea about its serene surroundings neighbored by a lake. 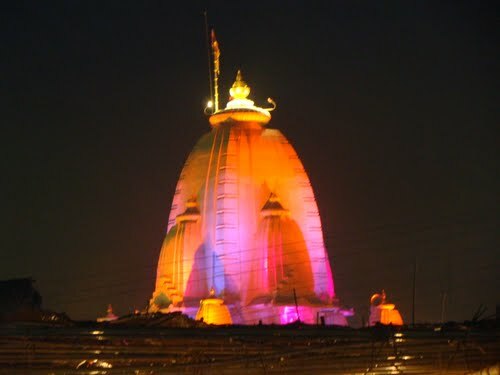 There is an array of tourist destination around this temple. Come to Dhamapur for getting the blessings of Devi Bhagwati. There are plenty of hotels near bhagwati temple with some of the best facilities. Since it is located near Malvan you can stay at one of the best hotels of the region like "Hotel Sagar Kinara" which is rated on the top by the visitors to Malvan. Malvan in Indian state of Maharashtra has many incredible places to visit ranging from religious, historical, leisure as well as places favoring adventure activities. Religious places like Rameshwar temple Malvan, date back to the medieval period with a distinguishing background and include many temples showcasing the explicit architectural styles of that period. Rameshwar Mahadev temple a thousand year old monument in Malvan is one such temple and a must visit place at this destination. In historic times offering piece of land as an Inam or gift to someone for his achievements was a common trend. A huge around four thousand five hundred acres of land was offered as Inam or gift to Shri Dev Rameshwar of Rameshwar temple in Achara by Chatrapati Shambhu Raje of Kolhapur. Hence it is also popular as Inamdar shri Rameshwar. Lord Rameshwar or Shiva is the resident deity of Malvan region located in the vicinity of Kumbharmath and neighbored by temples of lord Narayan and goddess Sateri. This thousand year old Rameshwar Mahadev Mandir was built by the rich people of that time, which is a masterpiece of art and architecture. Power of Lord Mahadev described in Mythological times is experienced even today also. Achara is much popular for this temple and the colorful festivals like Ramanavami, Ganesh Utsav, Padwa and Dasara which are celebrated with great enthusiasm and devotion. Residents and villagers from surrounding villages gather here in great numbers. The faith of Achara residents who are settled in distant places bring them at least once in a year to Achara for getting blessings of the lord. Rameshwar temple map shows the location of this temple near Varachichawadi just 1.5 km from famous Achara Tittha. The original Rameshwar temple photo shows spacious and clean temple surroundings. While visiting this temple you can stay at one of the hotels near Achara beach so that it will be convenient to visit the nearby tourist places. Achara beach located at a distance of just 1.5 km from Malvan provides best opportunity for swimming as well as Dolphin watching. Malvan which developed itself from a city of historical and cultural importance to one of the modern cities in the region boasts many types of accommodations ranging from budget to luxury hotels. Malvan is a most talked about city of Sindhudurg district and a prospering tourist destination of Maharashtra. It represents the cultural and historical heritage of the region with many ancient temples, forts and places of religious worship. Maharashtra state tourism department has offered many privileges and facilities to this town to make it a popular tourist attraction. 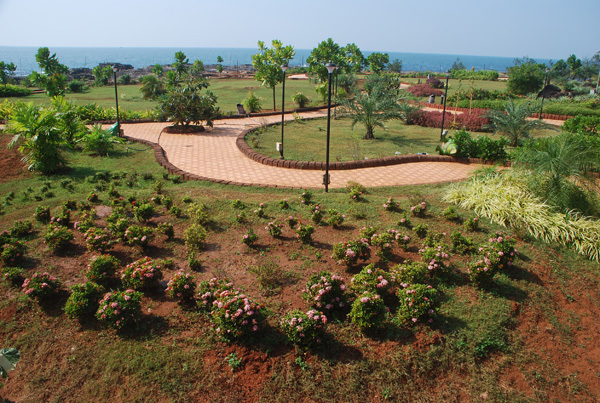 rock garden in Malvan is a best place to relax on the rocks and enjoy the calm of the sea side. Malvan’s pride lies in its invincible natural resources and it’s more talked about beaches which are spread across a long coastal line. These beaches have made their own identity as the unspoilt places to relax and get recharged. Malvan is a fishing port and is adorned with fine sandy beaches lined beautifully with dense forests of coconut palms, bitternut and jackfruit trees. Some of the major Attractions of Malvan include the historic Sindhudurg fort built by the great Maratha leader Shivaji maharaj and serene beaches like Tarkarli, Tondavali, Chivala, as well as mobor. A well landscaped malvan rock garden is also one of the popular places located at half kilometer distance from Malvan jetty near Arase Mahal. Rock garden Malvan photos show the details of each section of the garden in details. 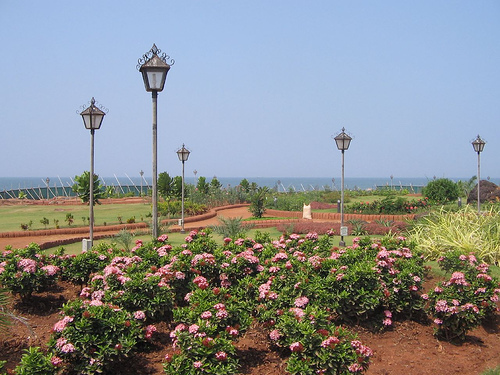 This garden offers a fantastic view of the wide spread Chivala beach. Unlike other gardens this garden is unique in its nature since there is no sand but a carpet of huge rocks and green lawns. Cool breeze of the Arabian Sea, refreshing surroundings and the rhythmic sound of the wavers striking the rocks are the things to be experienced here. This is also the best place to view romantic sunset on backdrop of the shining sea. These huge rocks make a good shelter for many reptiles and small creatures. In the evening crabs are seen walking beautifully on the rocks of the rock garden. In proportion to the tourists arriving at this destination there are enough hotels and other means of accommodations available in Malvan. There are many hotels near rock garden which invite the tourists for a refreshing vacation in the vicinity of the sea. 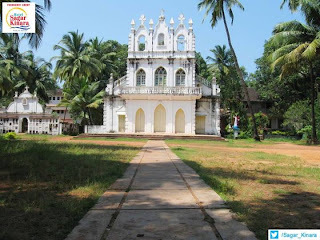 Tourists visiting Malvan know very little about a glorious church in this town, which is considered to be among the most beautiful ones in Sindhudurg District. It is popularly known as lady of Rosary Church among locals, who visit this church in great numbers. It has a unique architecture and sits peacefully amidst green natural surroundings. This church can be seen even from Rajkot's rocky shore nearby. History of this church dates back to the early nineteenth century, when the foundations for building a chapel was first laid. The present Rosary church was built and inaugurated in the early twentieth century. Today, many of the tourists visit this church while touring the popular attractions of Malvan. The architecture of Our Lady Of Rosary Church impresses them so much that most of them take photographs of it. Some visitors are all praise for the lovely Goanese music played by this church. The Lady of Rosary Church, Malvan is surrounded by a serene atmosphere as this region is not much crowded. For those who prefer to stay nearby, there are many hotels that offer comfortable accommodations for tourists. A stay in one of these hotels would enable travellers to visit the Lady of Rosary Church, Sindhudurg at their convenience. Best time to visit this region is during the months of December and January, when the climate is pleasant and best suited for tourism. Some of the travellers who visit Malvan for spending their holidays are always in search of budget hotels, that would help them to save big time on accommodations. They can choose from several budget hotels in Malvan located close to the popular attractions. While these hotels offer rooms at lower rates, quality of service is never compromised. This is done in order to ensure complete satisfaction of the guests who choose to book accommodations in them. Malvan in monsoon season becomes more attractive with an exclusive green cover and cool weather. Among the many attractions of Malvan the forts are offering best platform to enjoy monsoon drizzles. Vijaydurg fort is the oldest among the forts on the Sindhudurg coast. Shivaji the great Maratha leader conquered this fort from the Mughal king Adil Shah of Bijapur in the 17th century and renamed it as Vijaydurg meaning fort of victory. Vijay durg fort is located on a huge seventeen acre plot on the mouth of Vaghotan River and covered with Arabian Sea from the sides. Monsoon in Malvan can be enjoyed with one of the attractive monsoon packages which offer the real taste of the season and some rich taste of Malvan cuisine. Among the places to visit Vijaydurg fort is one of the historically important sites in Sindhudurga, this fort still stands in good condition and it is one of the best tourist attractions to be visited during your Malvan visit. It offers an insight into how forts of the Maratha period were constructed and divided into different parts. Major places inside the fort like kitta sadar, Jakhinis Canon, Kothi Pirachi Sadar, and the long platform built inside deep sea for guarding the fort are really notable. Vijaydurg fort history reminds about its glory around three hundred years back and brings forward the memories of Maratha rule. 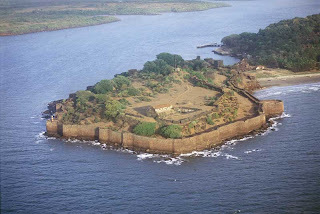 This fort was supposed to be the symbol of strength of Maratha navy during the Portuguese rule. Many new features were added to this already strong fort by Shivaji the great visionary of those days. He added many new attractive features including the three huge fort walls in parallel lines, many new watch towers and the huge interior buildings. History of Vijaydurg fort shows that after its construction in the 13th Century it was dominated by the Yadvas in 1218, in 1354 it was under Vijay nagar kings rule and in 1565 Mughals defeated the king and captured this fort. In 1653 Shivaji Maharaj captured the fort and named it Vijaydurg whereas in 1738 Sambhaji Angre reversed British attack and finally in 1818 it was captured by the British regime. Vijaydurg fort map clearly reveals the locations of important places inside the fort. Malvan in Maharashtra is the treasure of historical places and many other alluring tourist attractions to visit. Due to the increasing influx of tourists to this hotspot of Maharashtra many new hotels and resorts are mushrooming in this region. Budget hotels in Malvan are becoming the first choice of tourists. Normally it is seen that travel experts mostly advice to avoid visiting tourist places in Monsoon or rainy season but there is an exception to this trend, where a destination is more enjoyable in the Monsoon season. This exceptional location is Malvan, which is located in the vicinity of Mumbai and Goa. Summers are harsh and humid whereas monsoon brings the majesty of a green cover dotted with neat and clean beaches looking fresh as if they are cleaned with early monsoon showers. Monsoon packages in malvan will introduce this bewitching destination at an affordable cost. Malvan beaches sublimed with dense greenery at the backdrop, offer a feel of some untouched location and an isolated paradise during Monsoon. Here you can absorb the real fun of monsoon showers in a unique surrounding. Malvan Monsoon packages will shape your monsoon visit in such a way that you can explore maximum tourist potential hidden at this location. 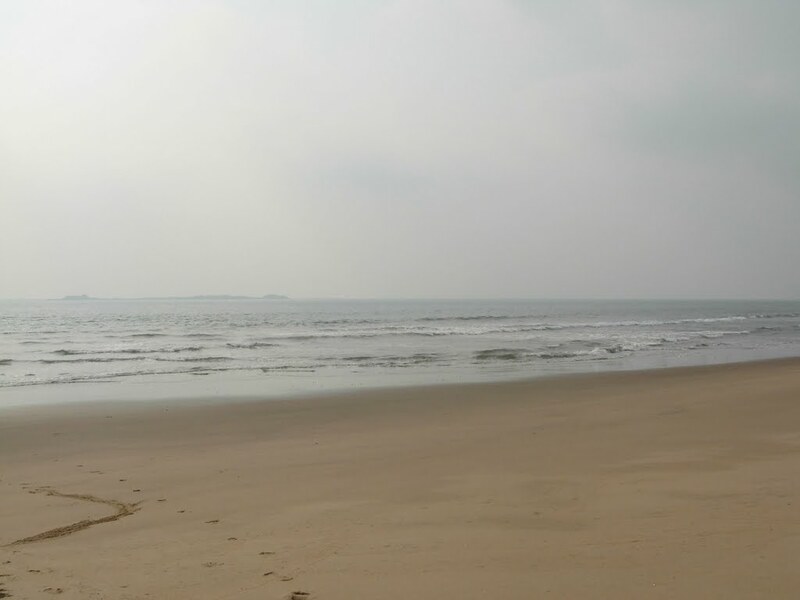 There is no limit to enjoy fun at Malvan beaches as this destination is blessed with exclusively long coastal line. Monsoon holiday package in Malvan offered during onset of the rainy season is the best for the youngsters as well as the honeymoon couples, who get a better opportunity of exploring the natural richness of this place. Tourists from other parts of India can grab the best opportunity of witnessing the credibility of monsoon holiday packages in Maharashtra which offer a chance to come closer to natures bounty dispersed in this coastal azure. Malvan the beauty spot of Maharashtra tourism has plenty of places to explore and a natural touch in its hospitality. 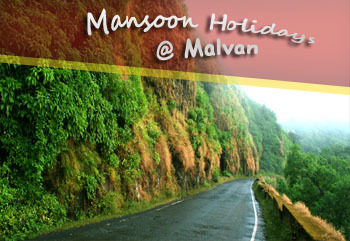 Malvan hotels monsoon packages will show you the correct way of exploring this region during this specific period. Monsoon packages of Hotel Sagar Kinara are tailor made packages offering you the real fun of monsoon drizzles at selected places saving your time as well as money. Devgad is a beautiful coastal town in Sindhudurg district tucked alongside the Arabian Sea, which is more popular for its cultivation of Alphonso mango. It is well known for a few more things like harbor, the beach and ancient lighthouse built in 1915. Fort Vijaydurga is the pride of this tiny town located near Kankavli on Mumbai Goa road. Fishing is the main occupation in this region. 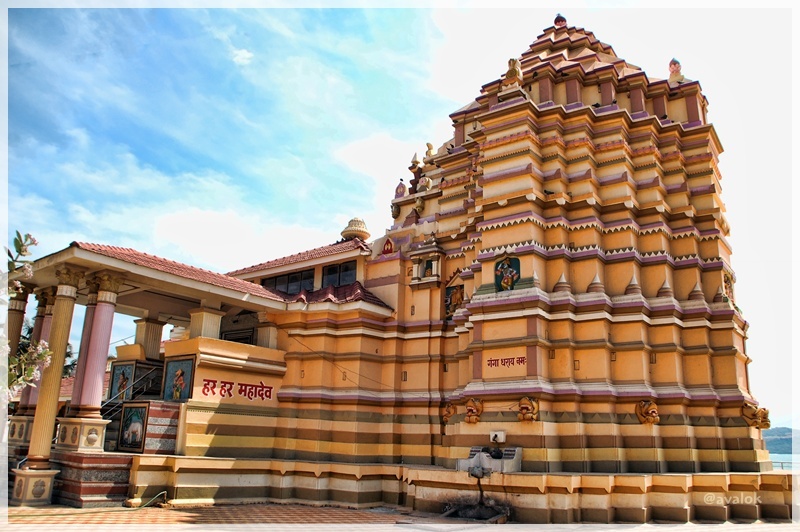 Some of the ancient temples of Devgad like Bhagwati temple, Vishweswarayya and Kunkeshwar temple are the must visit places during your Malvan visit. The location of the temples can be easily traced from the Kunkeshwar map. Devgad and most of the Sindhudurga region is gifted with a long coastal line. 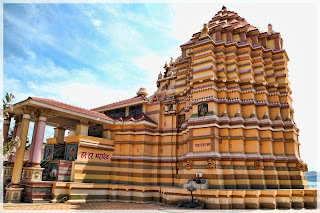 Kunkeshwar temple is located in Kunkeshwar village, just fourteen km from Devgad. 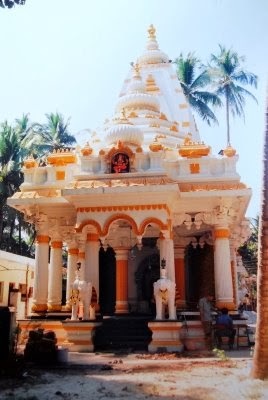 The temple is situated in the vicinity of pristine kunkeshwar devgad beach. This white sand beach adds to the beauty of temple and area around the temple. 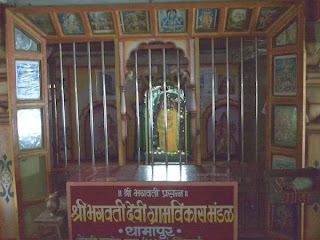 This Shiva temple in Kunkeshwar is supposed to be built by the Yadava rulers in the 11th century. As per historic records Shivaji the great Maratha ruler once visited this beautifully carved stone temple. A cave on the east of the temple is displaying engraved male and female warriors of historic times. The Shiv-linga and nandi in the center of the temple is accompanied with a Ganesh idol, which is also worshiped by the devotees. This destination once only a tiny seaside village, recently has started capturing attention of the tourists with its alluring quiet ambiance and exclusive places of tourist importance. Kunkeshwar photos give correct idea of abundance of palm groves and coconut trees along with the exotic mangroves in their vicinity. A typical Malvani village with ancient temple, golden sandy beach makes this place a true example of beauty in simplicity. Winter is the best time to enjoy the cool breeze of the sea and to stroll along the beach side catching the glimpses of sunrise as well as sunsets. Kunkeshwar hotels and resorts provide an opportunity to get real taste of Malvani food mostly specialized in non vegetarian items like fish curry, fish fry and kombdi vade prepared from tasty Malvani spices. Visit any hotel inMalvan and you will notice the difference of taste between Malvani cuisine prepared here, compared to the same cuisine prepared elsewhere. Malvan is the rising star of tourism in Maharashtra. It has already become popular as one of the convenient tourist spots due to its nearness to metro cities like Mumbai and Pune. The city offers everything from sunny beaches, tasty seafood to adventure sports up to enjoying the houseboat tour. Surrounding region of the city is dotted with many famous places in Malvan like Sindhudurg fort, Marine sanctuary, Rameshwar temple, Anganechiwadi and Devbag. It is a land of virgin beaches and the brave warriors. How to reach Malvan is not at all a big issue, since there are many types of transportations available for Malvan. Malvan can be easily reached by road and by railway from Mumbai. 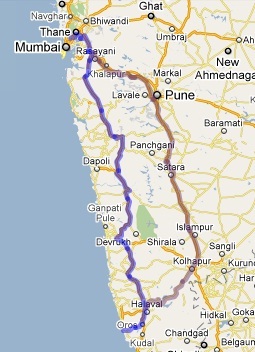 It can be reached from Pune directly by road in six hours time. There are regular busses running between Pune and Malvan. Pune to malvan distance by road, is four hundred forty nine km With your own vehicle you can even reach Malvan earlier than the stipulated time. Goa to malvan Distance, by road is one hundred forty seven km only. Its location on the Mumbai Goa road makes the visit to the destination more inviting, while travelling from Mumbai to Goa. Mumbai to malvan road map, shows that the road is passing through Panvel, Mahad, Chiplun, Ratnagiri and then reaching Malvan. Mumbai to Malvan Distance by road is four hundred ninety five km and Mumbai to Malvan bus journey will take around eight hours and forty five minutes to reach Malvan. Mumbai to Malvan tavel can be enjoyed by the private tourist busses, state transport busses and the innumerable types of cabs like cool cab and Meru, Tourists intending to reach Malvan from Goa, will take around three hours by road. Malvan is another name of delicious cuisine, exotic beaches and memorable places to visit. While enjoying a vacation away from home the prime thing of importance, is the option of accommodation available for tourists, with increasing reputation as a tourist destination. Hotels in Malvan offer a dual touch with modern amenities and a traditional feel, it has shown improvement in its infrastructural facilities and many new types of accommodations have come up in Malvan to provide comfort to the visitors. Especially hotels near Malvan beach provide correct atmosphere for a sumptuous beach vacation. Festivals of Holi and Rang panchami are like sisters if you consider Holi as the elder one then Rang panchami is the younger sister. 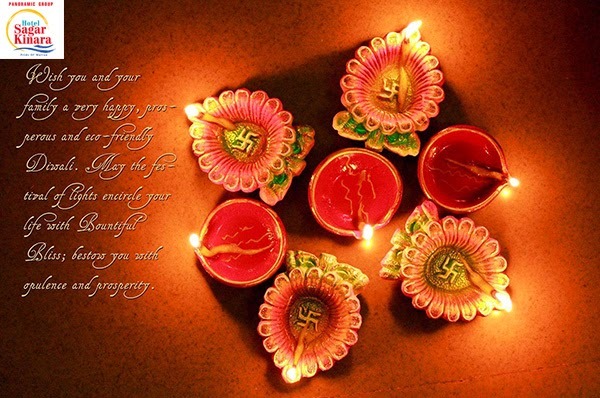 These festivals are celebrated normally in the month of March every year. Ranga panchami is celebrated on the next day of Holi. In Maharashtra Rangpancahmi is celebrated as the beautiful festival of colors which makes lives of the celebrators more colorful. It is a romantic festival for the younger generation which offers them lot of opportunity enjoy the celebrations with their most favorite companions. This is the only festival which is celebrated in public with no restrictions of religion, caste and creed. The young as well as the old enjoy it by throwing colors on each other, singing, dancing and merry making. Rang panchami festival in Malvan is a splendid occasion to be witnessed. Rang Panchami in Malvan is observed on the 5th day of Phagun. “Rang Panchami”.is the festival of colors, where panchami means the fifth day of Hindu lunar month Phagun.. On this day the locals rejoice to the fullest by throwing red-powder called gulal on each other as a sign of greeting and love. In Malvan this festival is also looked upon as the great day of religious importance and the symbol of victory over raja-tama particles in the atmosphere. In Malvan villages the village deities called Gram Devata are worshipped. During Holi and Rangpanchami locals of Malvan are dressed up in traditional Maharashtrian dresses, especially the ladies look more beautiful in the typical saris and the traditional ornaments like nathni and earrings. In the villages of Malvan colors are prepared in large quantities and people are virtually dipped in the colored water. No one in the villages hesitates to take part in the celebrations and even the ladies in the households offer eatables and sweets prepared for the festivals to the celebrating gangs. Hotels near malvan beach are fully occupied during the festive period. In Malvan at our Hotel Sagar Kinara, we have descent celebrations of Holi and Rangpanchami. The hotels location near Malvan beach, being the central area near city enables to view huge crowds taking part in the rampant celebrations during festive period. We arrange in house cultural events and prepare special food in accordance to the festivals. Visit Sagar Kinara during the colorful festivals of Maharashtra and double your enjoyment at this flourishing tourist destination. The most talked about festival of Malvan is Shimgotsav or Shimgyachi Holi festival. The rich cultural background of the city is reflected in its extravagant festivals celebrated through out the length of the year. Holi Festival in Malvan is the most enjoying feast in this coastal city. 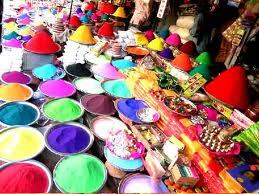 The colorful festival of Holi is also celebrated in neighboring Goa with same zest and fervor. This year Holi will be celebrated on 27th of March. Basically Holi is the celebration of victory of good over evil. 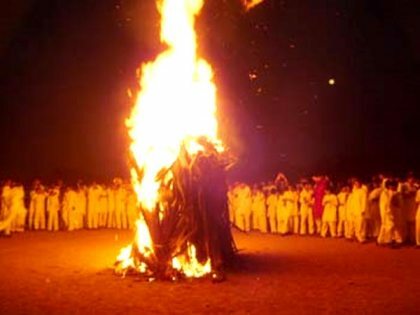 The mythological legends describe the destruction of the demoness called Holika on this day. This festival is celebrated in the month of Phalguna known as Shimga in the konkan region and in Malvan it is popular as Shimgostav. Malvan is brimmed up with the Holika dahan celebrations, one day prior to the Holi celebrations in which bonfires are lighted in every village and Tahsil. 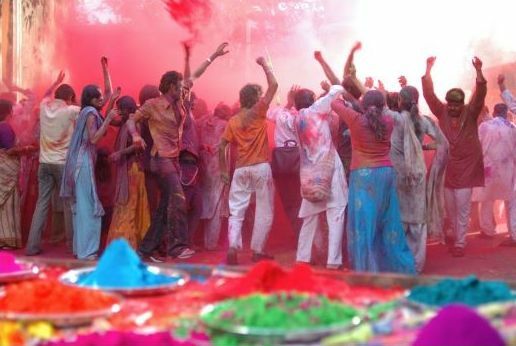 Malvan residents settled in the nearby cities, promptly return to their native places especially for joining the Holi celebrations. 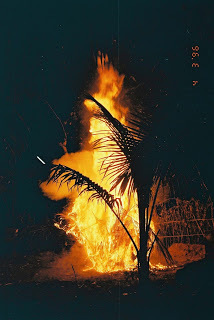 Among the bonfires prepared in Maharashtra the bonfire prepared in Malvan is worth watching. Initially a log is kept in the center of a round pit made in a public place and people from the surroundings go on adding logs, twigs, dried branches and leaves to the pit. This finally becomes a heap. Then a senior man of the village prays for the well being of the residents of the village, supported by a huge mob. Finally the bonfire is set on fire and people through coconuts in to the fire. They are taken out after getting roasted and are distributed as Prasad mixed with sweets to the people present during celebrations. Next day is the day of fun and entertainment, when everyone gets tuned up by throwing colors on each other. Hotels in Malvan are spread across the length and breadth of the city. 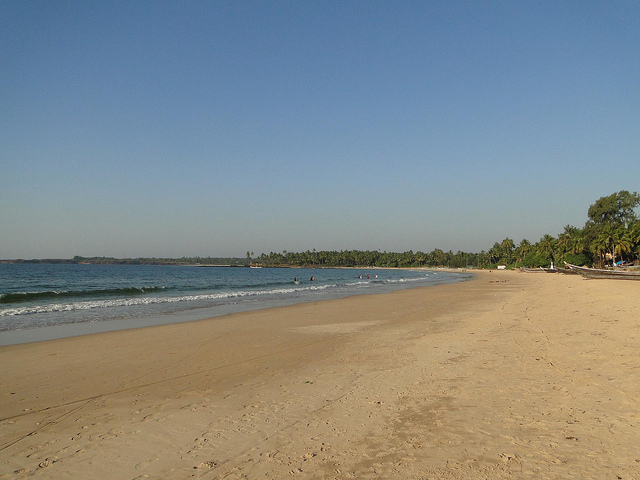 Malvan beaches are overflowing with visitors during this festive period. The beaches become colorful with the mobs, as well as the beach stalls where people are busy in enjoying delicious Malvani food, appreciated by foodies from different places. Hotels in Malvan beach are the most convenient places for getting beach side accommodations and a sumptuous seafood. We at Hotel Sagar Kinara in Malvan are providing spacious accommodations and the real taste of Malvan delicacies. Holi is the right occasion to visit Malvan and get the taste of incredible Malvani seafood prepared specially for the biggest festival of the region. Malvan is situated on the coast of Western India. This city is well known for its historical monument, the famous Sindhudhurg fort built by the powerful Maratha King Shivaji. 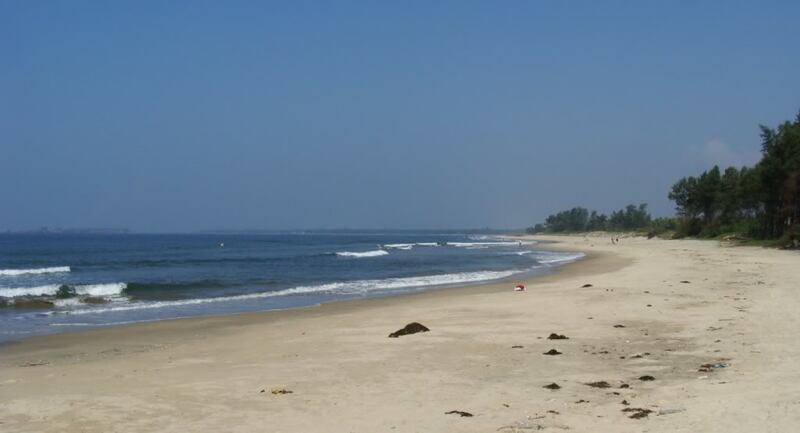 Being on the coastal lines, Malvan is blessed with many beautiful beaches which are also tourist attractions. Arse Mahal Beach: - Tourists could enjoy the moments of the sea resting on a wall that was created on the boundary of the guest houses. The beach is also famous for the Navy detachment and Petrol centre which is near to the beach. Tondavali Beach: - A very clean beach with very less crowd, perfect setting for tourists who would love to soak the atmosphere with no disturbances at all. One could also indulge in water sports activities like Banana ride. Chivla Beach: - Located in between rocky jutting and Government guest house, the clean beach stretches up to 1.5 km with clear sands. 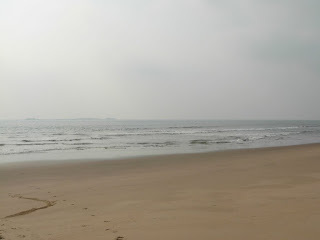 Tarkarli Beach: - Is the best beach, Malvan has now and it is coz of the crystal clear water and white sands. One could enjoy Snorkeling, Scuba diving and other water based activities in this beach. On the lines of backwaters of Kerala, two houseboats could be found in Tarkarli Beach. To get maximum benefits from your vacations, you should try and stay in hotels near Malvan beaches. Luxury hotels with good restaurant would be an ideal choice for travelers. Malvani cuisine would be another thing which would drive your mind crazy. Anganewadi in Malvan is more famous for its Bharadi Devi temple and the most popular fair called Anganewadi Jatra which is held annually. The most interesting thing about this fair is its changing date which is finalized by mutual consent in February every year. 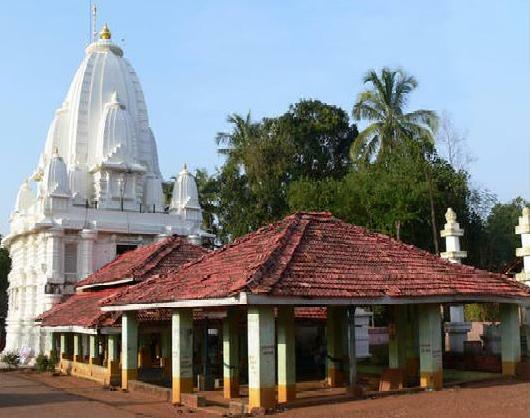 There are many legends about the appearance of the deity in this village of Malvan District. 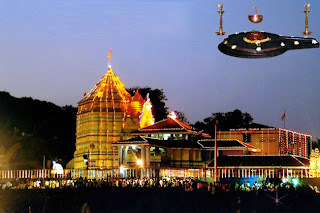 In Maharashtra there are a number of temples called “Jagrut Devasthan” and many deities having a great wish fulfilling power fulfill the wishes of the devotees. These wishes are expressed in the form of “Nawas” at the Jagrut Devasthans. When the devotees receive what they asked for their belief is strengthened and they return to the place along with offerings for the deity. 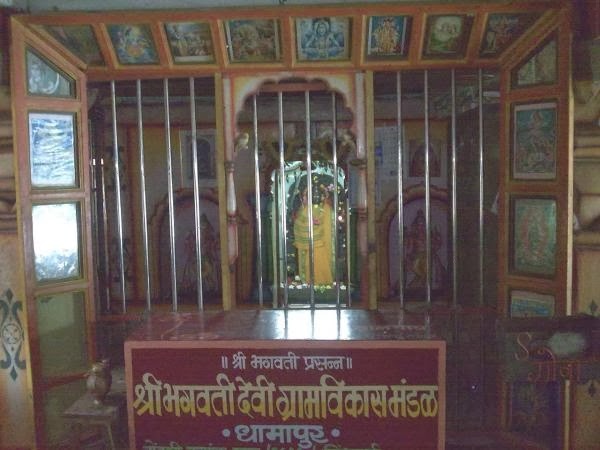 “Bharadi devi of Anganewadi” is one of the “Jagrut Devasthans” in Malvan fulfilling the wishes of all those visitors who come to this place with a devotion and great belief. 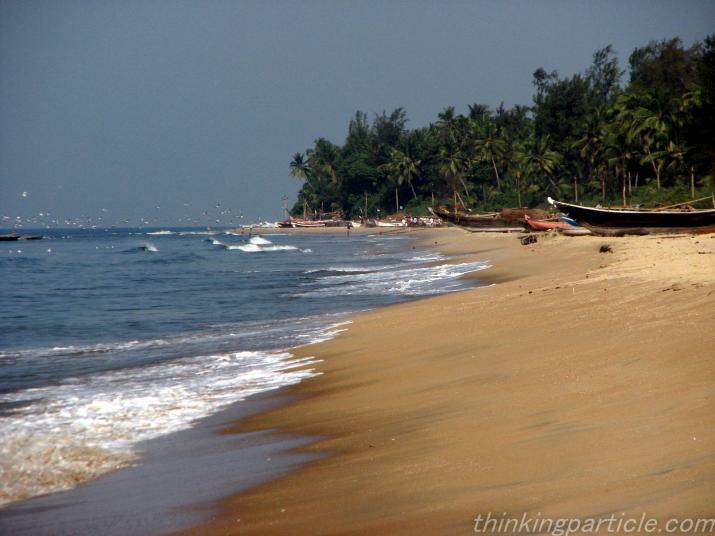 The visitors include many types like politicians, celebrities and tourists on a Malvan visit. The satisfaction of the visitors to Anganewadi fair keeps on increasing its popularity beyond the borders and attracts more number of devotees every year. The rituals at the fair are really interesting which include embellishing the stone plaque of the deity with ornaments, mask and new clothing. Afterwards the village barber standing in front of the temple reflects sunrays over the plaque. There is one more interesting trend which strengthens unity and cooperation among the residents during this fair. As per this trend one female from each family has to join cooking of food at the temple which is offered as Prasad to the devotees. The Jatra lasts for one and a half day only, but surprisingly brings flocks of devotees from the neighboring region. This year you can visit Anganewadi to attend the fair which will be commencing on 14th of February and get blessings and fulfillment of your wishes. The venue of the fair can be reached easily from Malvan which is just ten km from the city. There are plenty of traveling options by road to reach Angnewadi. Nearby railway stations are Kankavli and Oros. If you are arriving from Mumbai, Pune or Goa then you can stay at one of the Malvan hotels located at central locations. The budget hotels of Malvan are the best means of balancing your requirements and pocket. After visiting the fair extend your stay for a day or two and enjoy the interesting sight seeing options of Malvan.